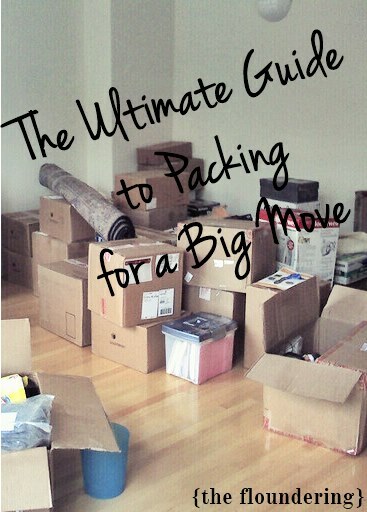 Packing is a tedious process that requires master organization. Whether its for a trip or for a big move, packing is something absolutely NO ONE enjoys; me being at the top of that list. Considering that in the last 8 years I have moved 6 times, one would think I obviously enjoy it, but packing still gives me the blues. However, over the year I have learned to appreciate a properly packed box and gained tons of valuable knowledge on the subject of packing. Aim for a maximum weight of 50 pounds per box to make it easier to handle. Make sure boxes are firmly packed to avoid rattling or having the boxes bend inward. Layer boxes with the heaviest items on the bottom and the lightest on top. Boxes should always be sealed with packing tape, avoid interlock moving box tops. Wrap all artwork in paper or bubble wrap. Do not place in boxes with any other sharp items to avoid possible tears in art. Layer large flat dishes such as plates and platters on the bottom of the boxes. Proceed to fill box according to size and shape. Place all flat items on the lower level with objects like bowls on top. Use cell pack box dividers when packing glassware. Place wrapped glasses in each cubby. Glasses can be stacked inside one another, if necessary. An easy and safe way to pack knives, is to place them in a small container before placing in boxes. Use a container that cannot be easily punctured. Make sure all knife points are facing the same direction and the lid of the container is secured with tape. Remove batteries from appliances before packing. If still available pack all electronics in their original boxes. Pack your out-of-season and used infrequently items first. In order to save space, it’s ok leave blankets, sweaters, towels and similar lightweight materials in dresser drawers.